Tribal is certainly global as I sit here in Scotland listening to stories from around the world and getting connected with Gypsy Caravan Tribal Bellydance® dance sisters from all corners of the globe, meeting up in person or connecting on line knowing we have a common connection, a want and need to connect, share shimmies and dance! Sometimes we’re travelers and sometimes we build and grow at home, and here’s a traveling tale for you today. 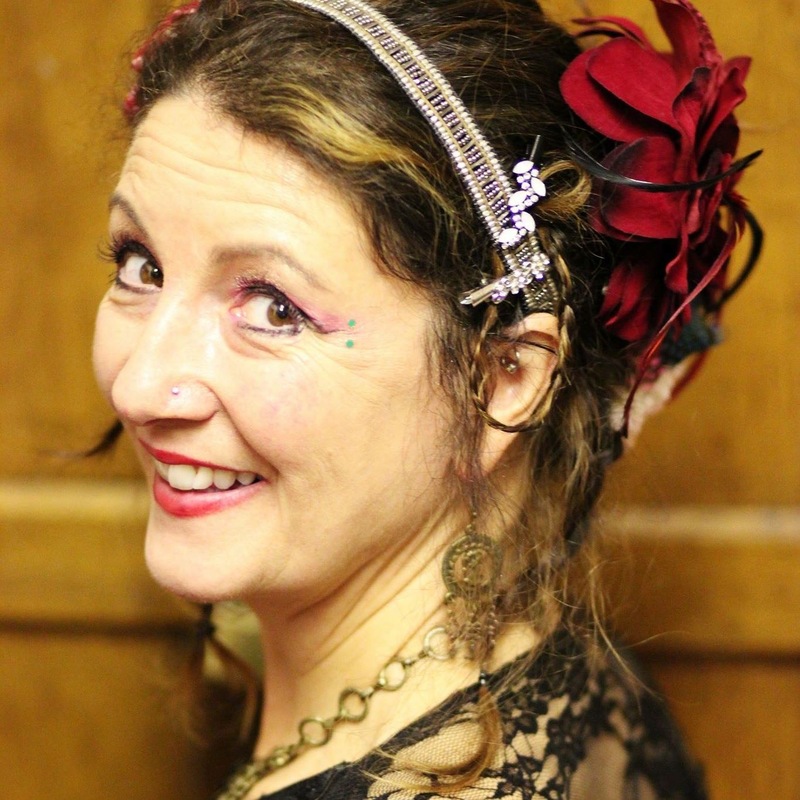 Nina Martinez is aGC Certified Master Teacher (Level Two) and a member of Gypsy Caravan Dance Company International. She teaches at her home base near Cairns in Australia, as well as around the country and New Zealand. Just recently though she developed a contact with a dancer Midori Takeda from Japan (a certified Collective Soul and GCTB Teacher) she’d met on travels in California, and a holiday for Nina also developed into a great dance opportunity for Japan! Nina picks up the story: “This November I was so delighted to be visiting Japan for a holiday. Wow! What an amazing country with beautiful gardens and cities, both modern and ancient cultures living side by side, and encountering such welcoming and friendly people. Earlier in 2015 , I met a lovely dancer from Japan, Midori Takeda, in California, at Tribal Fest. She had completed Collective Soul and Teacher Training with Paulette, and we got talking about lots of things including my upcoming visit. I asked her if she would be interested in a Gypsy Caravan workshop in Tokyo and she was! 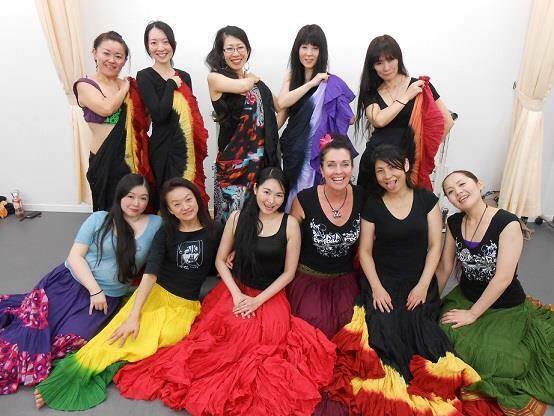 The workshops were full of dancers from around Japan, with little knowledge of our format, but very keen to learn. They loved the earthy feminine moves, embraced the orbits and duets with delight, really connecting and supporting each other. The best part for me was turning the circle in, facing these gorgeous women, joining hands in our circle, celebrating dance in this sacred and universal way, moving as one, joy as we mirrored our love of dance, our beautiful dance…that special magic that is Gypsy Caravan! Midori and I did a duet, having never danced together and one rehearsal we did wonderfully well! I ended with a shawl solo. The show,was incredible with dancers from around Japan, South Korea, so much talent! If you have traveling dance stories to share, let us know and I would love to feature you here on our blog. Yours in dance and shimmies, and happy solstice to you all! Gypsy Caravan Dance Company, writer, coach, and GCTB® Certified Master Teacher! Want to bring us to you? what we can bring to you and your studio/dancers! And Paulette and Gypsy Caravan Master Teachers are booking workshops and our Collective Soul programs around the globe for 2016… Please contact Paulette (dance@gypsycaravan.us) to bring us to you, your studio, your troupe, your town! We love to teach and share the Tribal love! A mass of swaying hips, undulating bellies, hands upon hands upon hands with arms moving snake-like, strangely synchronous; watch closely as these powerfully sensuous women wrap you in their web of enchanting improvisation. Haunting horns calling you from the desert, earthly drums bring you back to the beginning of time; forlorn melodies sung from the deepest of souls, Gypsy Caravan invites you to join them on a journey back to the cradle of civilization. Woolen yarns, billowing silk, and jangling metal add texture to delight the senses, reminding you of the millions of women who came before us. A tribute to the past, created in the present, borrowing from many cultures and full of today’s urban spirit, feel your tribal soul coming to life, echoing our cries for life and freedom. This dance is an esthetically pleasing blend of the folkloric, nomadic, and classical dances of the Middle East, Spain, India, Egypt, but with our contemporary twist as dancers of today. Physically challenging and spiritually grounding, this tribal belly dance is about the empowerment of the dancers as they improvisationally and collectively dance in their circle, a community of all sizes and ages. It is a dance for every body. Want to be the best dancer you can be? 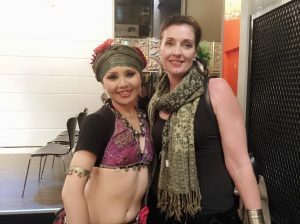 Using Gypsy Caravan Tribal Bellydance! Understand the roots of Gypsy Caravan Tribal Bellydance® ? ← Desire to step up into your dance?